Without passion, emotion and an unwavering belief in their ideas, the Airbnb founders would never have pioneered the sharing economy. Recently, I had a wide-ranging conversation with Yahoo Mail creator and Y Combinator partner, Geoff Ralston. The prestigious Silicon Valley startup accelerator has provided seed funding and training for over 1,460 startups including Airbnb, Dropbox, Reddit, and Stripe. In this video you’ll learn why Ralston says passion plays a major role in their investment decisions. Carmine Gallo is a keynote speaker and bestselling author of eight books including The Storyteller’s Secret: From TED Speakers To Business Legends, Why Some Ideas Catch On And Others Don’t. It’s been eight years since Logitech introduced a wireless remote to advance presentation slides. What could possibly change in eight years? Plenty. In fact, the new Spotlight by Logitech will transform your presentations, offering a powerful and personal tool that will help you stand out in business and in your career. Sixty percent of business professionals say they present regularly. But while 1 billion presentations are given every year, only 2 million presentation remotes are sold annually. This tells us that many people who should be using remotes to deliver their presentations are going along without one. After getting an early opportunity to test Spotlight by Logitech, I can tell you that it’s a game-changing tool to deliver presentations confidently and fearlessly. You see, it’s not just a pointer or a clicker. For example, say goodbye to the red laser-pointer. Instead, Spotlight literally shines a spotlight on the portion of the slide you want to highlight. If an image is small, no problem, just magnify it and make it larger – again, all with the remote in the palm of your hand. If you’re playing videos and the volume is too low or too high, again, it’s no problem. Spotlight has gesture control and allows you to adjust the volume without touching your computer. The remote also gives you on-screen cursor control to play and pause videos. There’s no need to break your flow or go anywhere near a mouse or laptop. I spent much of last week on tour with Logitech. We visited three cities—San Francisco, New York and Boston—and met with dozens of technology reporters and bloggers. They were impressed. According to ZDNET, Spotlight is “an elegant tool for professional presenters.” You can read the entire review here. Spotlight represents a new standard in presentation control. It’s elegant and comfortable. Every feature is made to empower confident, fearless presenting. Whether you prefer PowerPoint, Prezi or Apple Keynote, Spotlight will transform the way you present. Don’t sell your ideas without one. For anyone who presents as part of their job – to pitch ideas, engage teams, or inspire employees and customers—the Spotlight wireless presentation remote is an elegant and useful tool that will take your presentation to the next level. 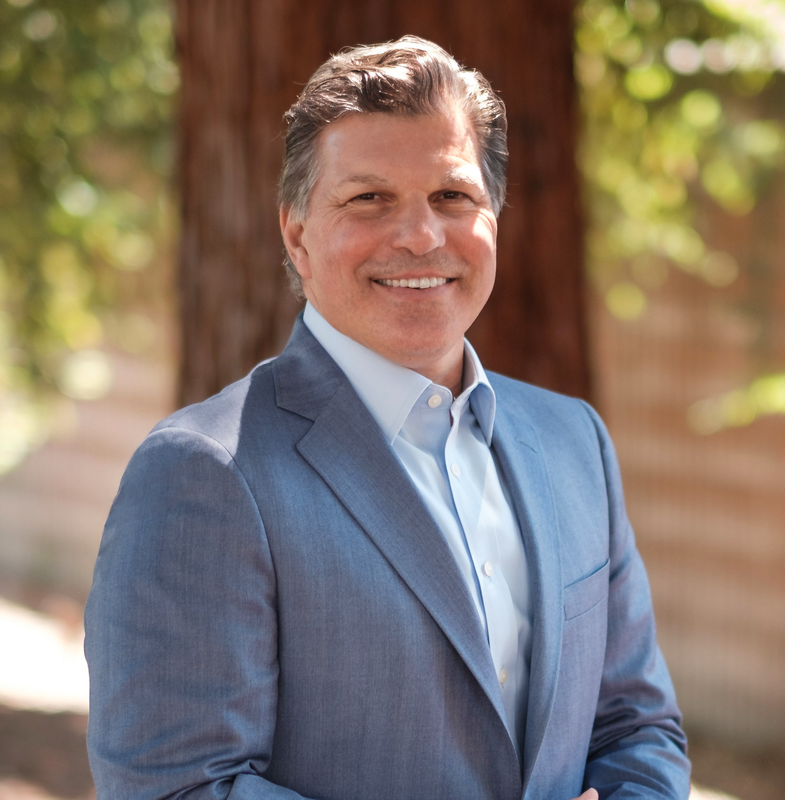 Carmine Gallo is a popular keynote speaker, communication advisor and bestselling author of eight books including The Presentation Secrets of Steve Jobs, Talk Like TED and The Storyteller’s Secret. “Every great brand is like a great story. Every great story is made up of chapters in a book,” Kevin Plank told an audience in Las Vegas recently. The billionaire chairman and CEO of sports retailer, Under Armour, knows the storyteller’s secret, and he uses the power of story to wow his audiences. Beginning at the 4-minute mark in Plank’s CES presentation, he shared the story of how Under Armour came to be and how his personal story reflects the brands’ promise today. Here are 3 specific tips you can (and should) adopt from Kevin Plank’s presentation style. “All companies begin as an idea. My idea was simple. I was an athlete. I was a college football player. I wasn’t the biggest and I wasn’t the fastest, but I had a huge passion; a passion to be on that team. I wanted to run out of that tunnel. I wanted to be a part of it, a part of something bigger,” Plank began. That passion put him on the field the University of Maryland. He vividely remembers practicing in the summer of 1995. I don’t know what it’s like to play football for a Division I college, but I know what the east coast heat feels like in summer, I can picture a young man with a dream driving north in his 1995 Ford Explorer, or working at the dining room table in his grandmother’s brick rowhouse. Small details add authenticity to personal stories, transporting the audience to another place and time. While Plank delivers the personal story behind the founding of Under Armour, every slide is a photo. There are no words, text or bullet points. The slides show Plank playing football at several stages in his life. They show his grandmother’s brick rowhouse. They show photos of sweat-drenched players on the field during his playing days at Maryland. Text gets in the way of a personal story unless, of course, the text is key component of the story. Otherwise, favor pictures over words. Under Armour’s CEO uses photos to transport his audience. You should do the same. The more personal the photos, the better. Wow. Who doesn’t want to feel invincible? In seven minutes Plank brought us on a journey, from sweat-drenched playing fields to the dining room table in the basement of a brick rowhouse, and from $17,000 in revenue in his first year to a nearly $5 billion company today. Kevin Plank makes you feel unstoppable. A great presentation has the ability to make people feel differently about you and your brand. And no technique makes someone feel as deeply as a strong personal story. On Sundays pastor Joel Osteen does something that would give most people a severe case of anxiety. He speaks to 40,000 people who attend services at Lakewood Church in Houston and to millions of others viewing on television in more than 100 countries. Osteen is the rare individual who sells out stadiums, and he does so without The Rolling Stones or Taylor Swift sharing the stage. Most observers might assume Osteen was always comfortable with public-speaking. The truth is quite the opposite. In fact, Osteen spent 17 years behind the scenes, working the camera for his father, the late preacher John Osteen. Joel did not see himself as a speaker, he did not feel as though he had the gift to captivate audiences, and he was very nervous about taking the stage. Osteen once told me he got nervous simply reading the church announcements! “Carmine, when I began preaching I was nervous and intimidated. I’m naturally quiet and reserved. I was bombarded by negative thoughts,” he said. You can’t do this, Joel. You don’t have the experience. Nobody is going to come. It took Osteen at least a year to build up his confidence. How? Joel Osteen hit the ‘delete button’ on negative self-talk, replacing words of defeat with words of victory. “If I had let those negative thoughts play over and over in my mind, they would have contaminated my confidence, contaminated my self-esteem, and contaminated by future,” Osteen writes in his new bestselling book, Think Better Live Better. Nearly every inspiring leader I’ve met has dealt with periods of doubt. They’ve faced doubt about their leadership qualifications, doubt about their public-speaking ability, doubt about their ability to make an impact. Osteen did the right thing. He reframed his internal narrative, changing the dialogue in his head. Words are like seeds, says Osteen. Whatever you say will take root. Make sure the roots you’re planting are strong, empowering, and inspiring. Joel Osteen is one of the leaders Carmine Gallo features in his new bestselling book, The Storyteller’s Secret: From TED Speakers To Business Legends Why Some Ideas Catch On And Others Don’t (St. Martin’s Press, 2016).